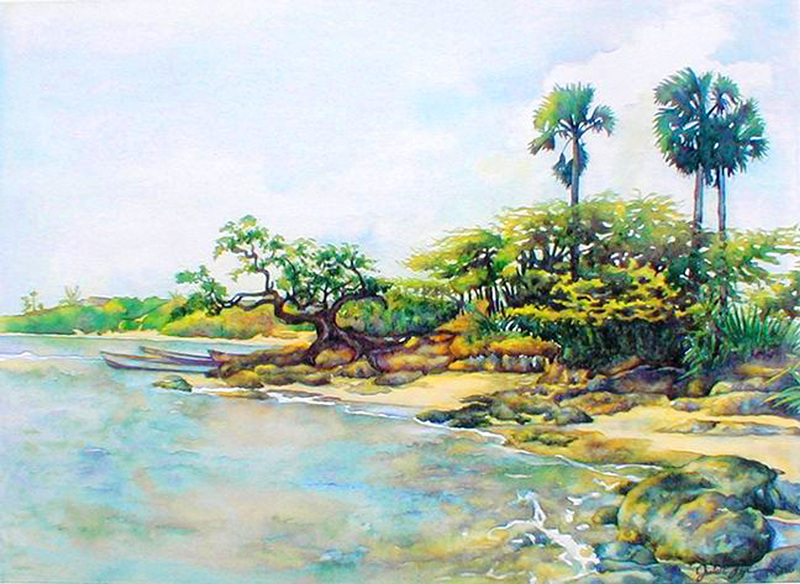 This painting is the sister to “Treasure Roots” as it’s the view of Calabash Bay from an easterly direction. What inspired me to paint this already famous vista from St. Elisabeth, Jamaica was the particular light at that moment of viewing. It was soft and golden and gave everything in sight this warm and somewhat glistening cast. It was rich. That’s what did it for me! This is a limited edition of 250 giclée prints on watercolor paper. The original painting has been sold.